Before you pick up a hammer to drive a single nail into your beehive, spending a few moments to review some safety basics is essential. Any sharp tool has the potential to create the kind of danger in your workshop that can be far worse than a bee sting in the garden. Using a little common sense and taking a few simple precautions should be the first step in your beehive-building adventure. The most common injuries in woodworking don’t come from dramatic accidents involving steel and flesh but rather from subtle things that happen over time to damage breathing, ears, and eyes. The following safety gear is essential to any woodworking workshop. Always wear this safety gear, no matter how silly you think it makes you look. Dust masks: These are inexpensive and disposable and can be found at any hardware store or home center. They look like a surgeon’s mask and work well to keep out the dust (but not the fumes associated with paint and varnish). Respirators: These aren’t real fashionable looking, but they’re excellent at keeping out dust and also the fumes associated with paints, polyurethanes, and varnishes. Just be certain that the model you choose is rated to protect you against the materials you’re using. Earplugs: These soft plugs insert right into your ear canal and are typically made of foam or plastic. They’re inexpensive but can sometimes be difficult to fit and can pop out or loosen, resulting in diminished effectiveness. 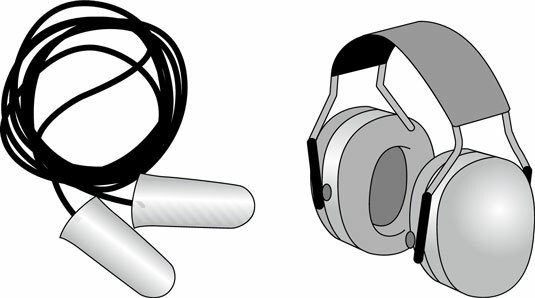 Earmuffs: These completely cover your ears (like large stereo headphones) and dramatically shut out all ambient noise. They’re far more effective than earplugs but can be tiresome to wear over long periods. One great advantage of earmuffs is that you can get them with a built-in radio or a wireless connection to your portable music player. So you can listen to Nikolai Rimsky-Korsakov’s “Flight of the Bumblebee” while you build your hives. Just be sure not to turn the volume up too loud or you’ll defeat the purpose of wearing them. Breathing protection is important to have when you build a beehive. Save your hearing by always wearing ear protection when working in the shop. Eye protection: Seriously, this is one bit of safety gear you should always make use of. By their very nature, woodworking and power tools mean all kinds of dust and wood flecks flying all about. Safety glasses or goggles are a must, and some rather stylish ones are available today. 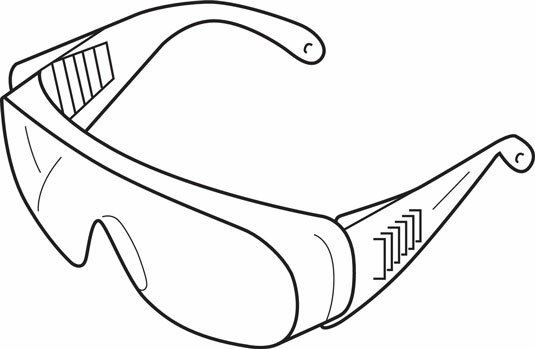 So don’t be vain — put these protective glasses on whenever you’re working in your shop. Most are designed to fit right over prescription eye glasses. Never cut corners when it comes to protecting your eyes. Always wear eye protection when woodworking.